In my last two years I visited 8 cities in Japan. If you plan on spending only a couple of days in Japan, I totally advise you to visit these 3 cities: Kyoto, Osaka, Nara. Osaka would be the best city for your hotel. It's located inbetween Nara and Kyoto. Both cities are reachable with a 40 minutes train ride. Osaka is the most laid back city of all three, and it offers the most entertaining nightlife. Beautiful nights are spent just next to the Dotonbori river, which is surrounded by a universe of neon-lights and the longest shopping gallery I know. Both sides of the river are packed with restaurants and bars, and several bridges that connect both parts of Dotonbori. Not to forget about the famous Glico-Man neon sign, which attracts too many people for some photos & selfies. Another famous area for nightlife or day-time shopping would be Ameri-mura, a fusion of an americanized japanese neighbourhood. Osaka hasn't as many sights to offer as Kyoto or Nara, but still Osaka is a very charming city. Visiting the Osaka Castle, will easily take half of a day. The castle is surrounded by a huge beautiful park, a very lively area. Familydays are spent in the park, group activities, mediation groups, or just sit back and enjoy the different fountains across the park. There's another area I'd recommend after sunset in Osaka, the Tsutenkaku Tower. The neighbourhood of the Osaka tower, is prettiest at night, because of the street-lights, infinite lanterns, and the crazy neon signs. The alleys are packed with restaurants, bars, and souvenir shops. Some locals told me that it would be the run-down area of Osaka. Frankly I didn't have that impression. For cultural daytrips and unforgettable sceneries Kyoto is the right place! Kyoto is often refered to as the cultural heart of Japan. Not less than 2000 shinto and buddhist shrines & temples are spread all over the city. Ok, I gotta admit, after I've visited the 10th temples, I had enough. 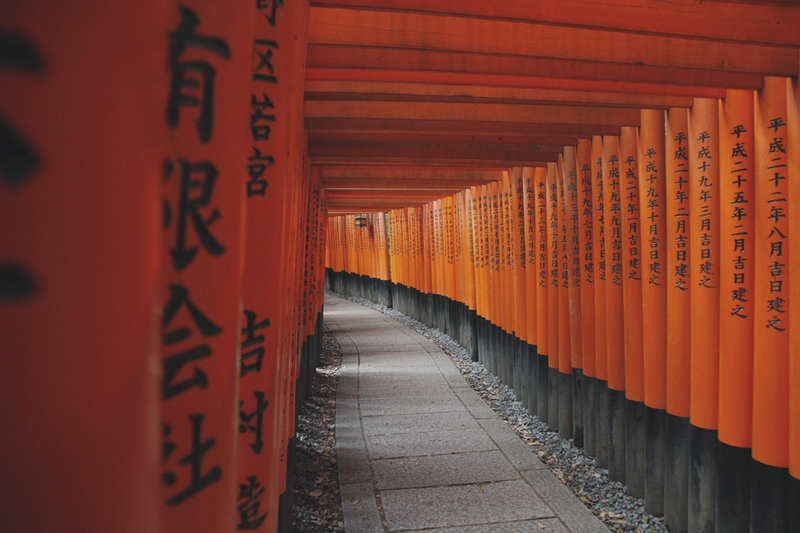 Fushimi Inari Shrine: The world famous path of orange torii gates, leading you to the top of mount Inari which is 233 meters above the sea level. Arashiyama Bamboo Groove: The bamboo forest of Ashiyama is one of the most beautiful forests I've ever experienced. It isn't the largest forest, it only takes you 15 minutes to follow the path across the bamboo forest. But it's all worth it. Expect lots of tourists on the path, and it isn't easy to get a decent photo of the bamboos without any visitors on it. Enjoy the village of Arashiyama, and the lovely alleys packed with shops, and delicious restaurants. Everytime i'm in the area, I plan on spending half a day at Arashiyama, such a divine place. Kinkaku-ji Temple: It's not the biggest temple, but one of the few I highly recommend to visit. It's not the size of the temple, but rather the golden coating of the temple, surrounded by a beautiful natural environment. 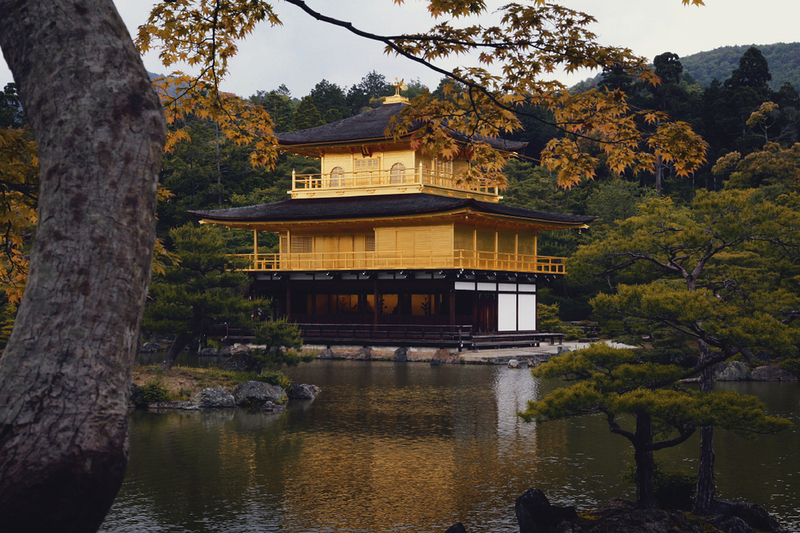 The mix of nature's green, and the temple's golden shine, is just the perfect spot for your photo camera. Gion & Kiyomizu Temple: I'd recommend visiting the Gion neighbourhood, better known as the Geisha district, and from Gion walk towards the Kiyomizu temple. Very likely you will run into a couple of geishas or maikos [apprentices], or probably just japanese tourists dressed like one of them. Some shops offer a kimono-rental-service, which gives you the possibility to look like a geisha for a day. In Kyoto a geisha is also called a "Geiko", a geisha from the western part of Japan. The Kiyomizu is a big impressive buddhist temple on top of a hill, it's worth the visit. But as I mentioned before, after 10 different temples, I had enough. Last, but not least! Nara. Nara is a mix of Kyoto and Osaka. A very laid back and quiet city, which feels different than the city-life of the two previous mentioned cites. Lots of natures, temples, lakes, and too many deers. One of the main reasons I wanted to visit Nara, were the deers. I wanted to get a selfie with a deer so bad! The parks of Nara are filled with over 100 deers. You're allowed to pet and feed them. The deers are so tame, that even little kids aren't scared to touch them. The funniest part would be the bowing [a sign of showing gratitude], if you start bowing in front of the deer, they will bow as well... well, mostly if they get a deer-cookie in exchange. You gotta witness Nara in real or just through images, words can't describe how beautiful that place is. 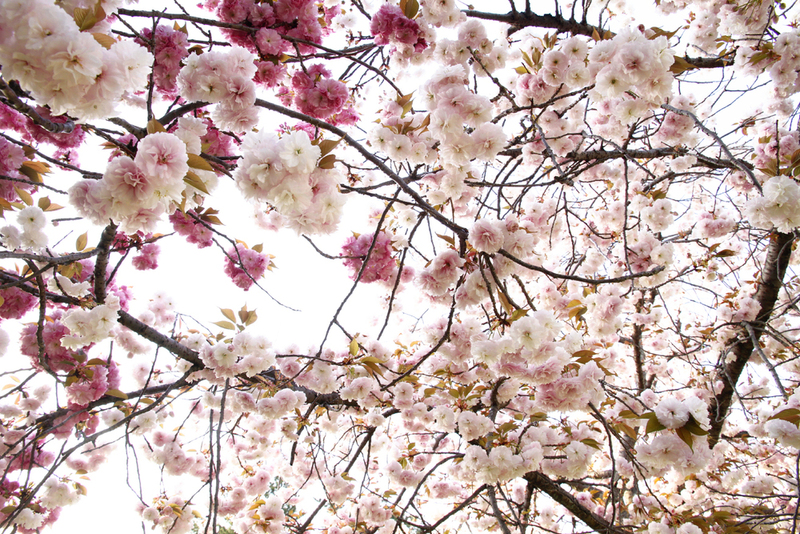 I had the chance to visit Nara during the sakura season [cherry blossoms], it was an unforgettable daytrip. When I got back to the hotel, I noticed that I still had missed so many spots in the beautiful city. I need to get back one more time!